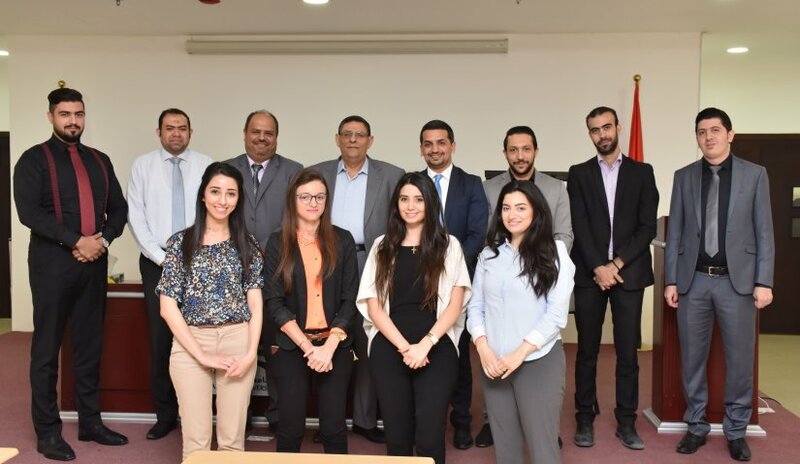 The Quality Assurance and Institutional Effectiveness Center (QAIEC) arranged a lecture for the administrative staff of Al Falah University to define the duties and responsibilities involved in administrative work. The presenter, Prof. Amjad Al-Nasser, Director of QAIEC instructed the participants on the importance of identifying their duties and how to effectively perform their responsibilities. He also stressed on the significance of abiding the job responsibilities set by the department director or unit head. Other important topics discussed during the lecture include the employees’ commitment to his or her function as a vital member of AFU and the university’s mandate to assign employees additional task as needed as well as the significance of annual and probationary evaluation for employees. Before concluding, Prof. Nasser encouraged the participants to ask questions on topics that weren’t clear and to provide further insights.